If you have an online presence, that presence should include video. If it doesn’t then you’re already lagging behind. Video has become the primary way a lot of us consume information, and YouTube is the number one place where we consume videos. 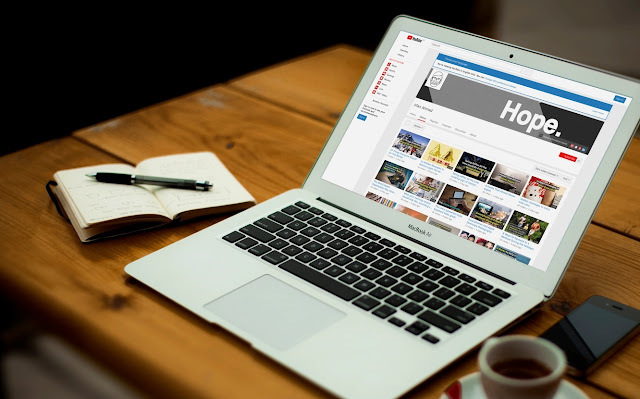 Whether you’re building a personal brand or trying to expand the reach of your marketing efforts, it just makes sense to have a YouTube channel. One major reason you may not already have a channel, or may be finding it hard to leverage successfully, is that YouTube is hard. There are millions of people posting videos every day, and it sometimes seems like the oddest things go viral. How do you stand out on a platform that’s so oversaturated? The key is to think beyond what you want, especially if you’re a company and not an individual creator, and think about what your audience wants. What is Your Audience Already Watching? The audiences that you want to reach are already watching videos on YouTube. Your mission is not to convince them they want to watch something completely different. Your mission is to create content that feels like what they already watch. If you are an independent creator; don’t try to reinvent the wheel and create your own genre. There is plenty of room to be original and niche within a genre viewers are already interested in. The infographic above will show you which are the noteworthy genres on YouTube, and what portion of the overall audience they command. If you are a brand then you may or may not fall easily into a genre. If you make something related to technology, for example, then you should look to tech channels for inspiration. Watch the reviews and tutorials the audience you want to capture does and find ways to communicate your message through that lens. If you do not have a clear genre things might be slightly trickier, but genre is still relevant to you. Think about who your audience is and what they are probably watching already. If the answer is gaming videos, but you aren’t a gaming company, then don’t be discouraged. You can still learn a lot by studying the top gaming channels. What kind of humor goes over well with your audience? What kinds of personalities appeal to them? Once you know what already exists on YouTube that appeals to your audience you can start building your YouTube brand, or start finding ways to adapt your existing brand to the platform. The key elements of your brand on YouTube will include the personality and style of your on-screen talent, whether that person is you or not. It will also include things like channel art, video thumbnails, and intro sequences. Looking to YouTube creators that are already seeing success is an important part of this. You want the content you create to fit in. You also want it to stand out. This part of your YouTube brand will come, in part, from the responses your content gets as you start to post videos. By paying attention to comments and analytics, you’ll learn what works well for you and what doesn’t. This is how you uncover the unique value that your viewers are taking away from your content so that you can emphasize it as you go forwards. Trending topics are important because you can get significantly higher view and subscriber counts by covering them. In one of the examples illustrated in the infographic above, a beauty vlogger saw an increase of 8000% compared to her non-trend videos. If there is breaking news in your industry, you should make a video quickly. If you are among the first to tackle a trend it could pay off exponentially in search engine rankings and views. It can be hard for brands to get content out fast sometimes, but if YouTube creators can do it then you should be able to too. It’s important to be competitive. The other reason you should tackle trends, even if they aren’t freshly broken, is because by tackling the big trends that popular creators are targeting you increase the chances of your videos coming up as related to content your potential viewers are watching. Clickbait can work, but on YouTube it generally works best for huge creators and well-known brands. In other words: people who would get a good number of clicks no matter what they posted. If you’re just starting out then you need to be careful not to set an expectation with your video title (or thumbnail) that your video doesn’t actually meet. Having an unusually high rate of people clicking on your video and then clicking away within the first 15 seconds will be punished in YouTube’s search rankings. In order for YouTube to categorize your videos correctly you need to be explicit about the topic of your video in the title. Find your most important keyword and make sure it is in your title. It is also a good idea to use numbers and adjectives, especially adjectives that grab attention with the picture they paint. People include words like ‘review’ and ‘how to’ in their search queries, so it’s a good idea to include those too when they describe your content accurately. The most important thing about collaborating is to make sure the collaboration makes sense to both your audience and your partners. You want to choose someone with an audience similar to yours in order to maximize the number of new potential viewers for your own content you can reach through the collaboration. If you are a gaming YouTuber, for example, it doesn’t make a lot of sense for you to collaborate with a cooking channel. The number of people who watch cooking videos who might also want to watch gaming videos will be fairly small. If you are a brand, you want to choose the best possible influencers by making sure they have audiences that will be interested in your product or service. If you make skin care products for people with sensitive skin then does it make more sense for you to collaborate with someone who has 5 million subscribers and covers beauty in general, or someone with 100,000 subscribers who specializes in products for sensitive skin and has an audience specifically interested in that topic? Katie is a Creative Content Writer at Wondershare Technologies, working specifically with the marketing teams for Filmora Video Editor and the filmora.io community. She is devoted to helping people of all skill and interest levels understand the complexities of YouTube.